Working for a cranky, old hermit in an isolated house sounds like Ruby’s idea of heaven but her boss isn't quite what she expects. Tex is a fugitive from the rock and roll world – a tragedy abruptly halted his career. No one knows why, no one knows where he is. The two of them try to live in the same house without ever seeing each other until Tex screws up, endangering their lives and forcing them to live in close quarters. Suddenly, the idea of human contact seems more appealing, if only with each other. The sanctuary they have built is enough for Ruby but the outside world encroaches. The man she's grown to love is Tex the hermit, not Tex the rock star. 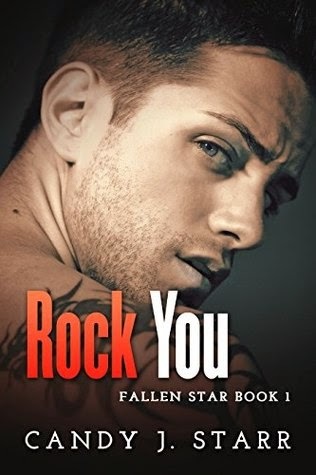 Their fledgling love can’t shine brighter than the rock dream but can Ruby bear to let him go? There are so many things I loved about this book, and a few things I didn't. Not that those things were ones I hated by any means. I just wish they'd been a little more developed. But I'm getting ahead of myself. As you know from the summary, Ruby has gone to work for a reclusive hermit in an isolated house. She has no clue who he is, that he's actually a really great-looking ex-rockstar, and it does take her a little bit of time to find out. I loved Ruby from the beginning. She's reclusive herself, cleaning the house for the hermit who keeps himself upstairs and leaves her largely to her own devices downstairs. When she's not cleaning, she spends her time creating her own apps, and I loved this about her. She's motivated, but won't do any complicated type app, as that would cause her to have to work with other people. I never really felt like I got a good handle on why she doesn't really want to be around others any more than Tex does. This is one of those things I felt could have used a little bit more explanation. It didn't detract from me liking her, however. She was cute, composed, sweet, and when she needed to be, with Tex, she could give as good as she got. The setting reminded me very much of an old gothic romance in a way... where you have a big neglected house, a mysterious man and an innocent girl who stays there. It was nice to have that old flavor popped into the middle of a contemporary New Adult story. It wasn't until something happens that causes the two of them to have to live in closer proximity that things begin to change. Tex was intriguing character, but once again, I felt like I just didn't know enough. Don't get me wrong...at a point much later in the story, the reader is clued in to why he quit music and became very hermit-like, but during a majority of the story, I just didn't feel a big enough connection with him. And a huge chunk at the beginning of the story we are led to believe how much Tex hates the idea of people know who he is and his new anonymity being threatened, but Ruby finds out, he has no reaction at all. This seemed too contrary to what we knew of him until then. I kept expecting him to at least threaten to fire her now that she knew, etc... but he doesn't. So a few things about the story didn't quite tie together for me, or weren't exactly logical, I guess you could say. However, I did still enjoy the story. I loved their interactions together and how slow the romance built. I also loved how each helped pull the other out into the light. So, while there were a couple things that bothered me a bit... on the whole, it was an enjoyable read with good characters and an intriguing story.